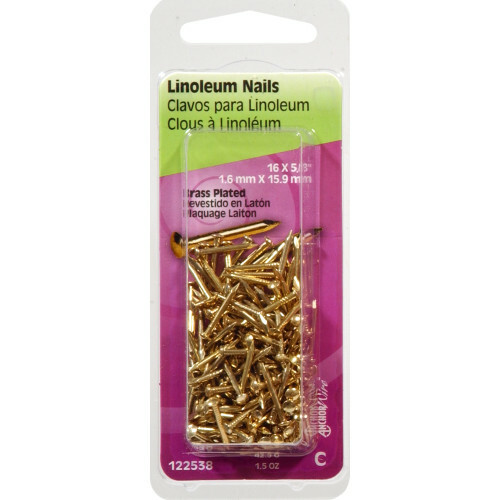 These linoleum nails are used to install linoleum flooring to plywood subflooring. They're also used with metal bracing to secure edges, corners or room splits. 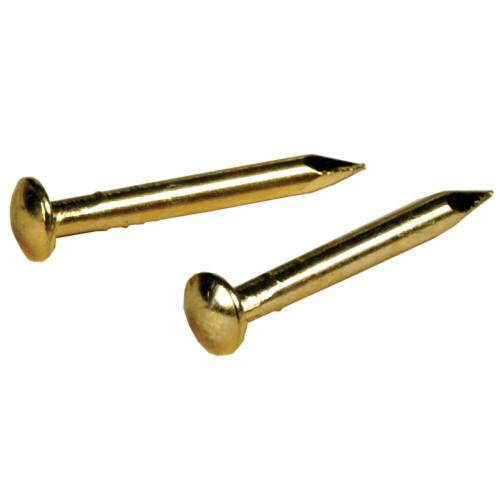 A short general purpose nail, they have multiple applications and typically have a large rounded head and sharp point for driving through linoleum and into wooden subfloor.